Create Animating Scenes Using Pur CSS classes. Up to ten different sequences with delays and animation durations. Say good by to video. Create dynamic HTML scenes using Imagine CSS action classes. Complete with backend scense creation tool to make scene creation easier. Up to 10 Animation Sequences Per Element. 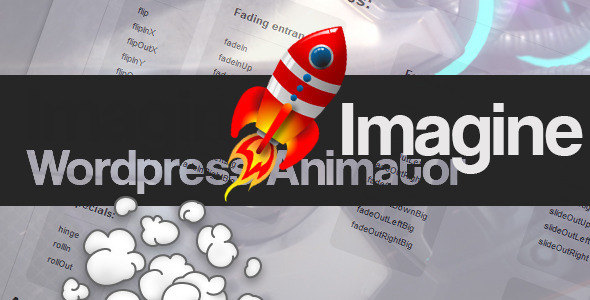 Over 1500 Preset Animation Action Classes To Choose From. Create Your Own Custom Classes. Play Once or Unlimited Times. You cannot use multiple classes that trigger css tranforms(rotate, scale, etc).